Brendan Beavis from Melbourne, Austrailia tries one of our racheting drivers. Watch the video for Brendan's review. 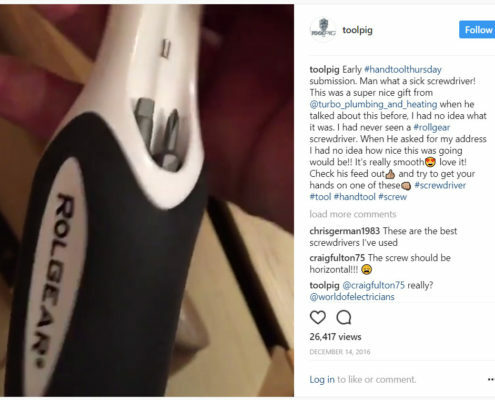 Watch Toolpig's video on Instagram about the Rolgear 15-tip racheting screwdriver. 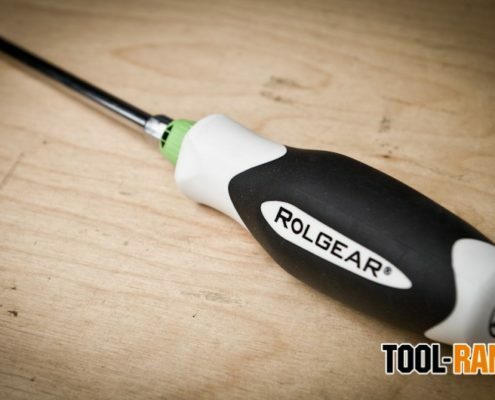 Chris Rodenius from Southern California reviewed Rolgear screwdrivers on ToolRank.com. Mark Hinkle reviews the quality and functionality of Rolgear screwdrivers. Watch the video, and read Mark's full review on the Quality Handtool Review website. Daniel McGuinn from the very popular Real Tool Reviews website and YouTube channel tested and compared three of our racheting drivers. Watch the video for Daniel's review. Recently, Rob Robillard reviewed our multi-bit racheting screwdriver and like it a lot! Read the full review on the Tool Box Buzz website.